Computers in schools are so common nowadays that it’s easy to forget this wasn’t always the case. Despite the hefty price tag that often accompanies it, use of computers in schools has increased to the point where it is rare to see classrooms without access to computers. From information access, interactive lessons, virtual courses and teacher resources, the use of computers in schools provides a wide array of benefits in the classroom and beyond. Thanks to the use of computers in schools, students and teachers have instant access to a wealth of information on the World Wide Web, making research a breeze. Entering a few keywords into a search engine is all it takes to pull up all the information you need and then some when conducting research on any given topic. Students also use computers to access online copies of their textbooks, which often include various features like digital notebooks or video tutorials, which are not available with traditional textbooks. Major advances in educational software have led to the development of interactive lessons and tutorials that teachers and students can access through the use of computers in schools. 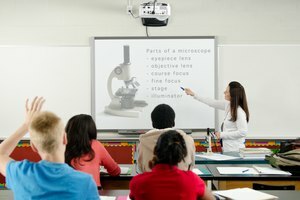 Teachers assign specific digital lessons to students so they can review academic content that caters to their unique needs and allows them to work at their own pace. Computers in schools also promote learning through access to online learning games that reinforce academic content in an engaging manner. Widespread use of computers in schools has also led to the expansion of virtual school programs that allow students to access their education remotely. In some counties, students can complete all of their academic requirements online through programs that are facilitated by a licensed educator who maintains regular phone and online contact with virtual students. Online courses greatly benefit students who cannot physically get to a school campus or who need to make up missing credits outside of the traditional classroom. With so many different hats to wear on any given day, it’s no secret that a teacher’s job is considerably demanding. Computers in schools make life easier for teachers who rely on them to input grades electronically, prepare lesson plans and assessments, and communicate electronically with colleagues, parents and administrators. Teachers also use computers to continue their own educations by accessing online opportunities for professional development that enhances their instructional effectiveness. While it’s hard to dispute that computers in schools have led to considerable benefits in the classroom and beyond, there is some controversy over whether or not computer use in educational settings improves student outcomes in a meaningful way. Some studies indicate that students who hand write their notes fare better on assessments than those who type notes. 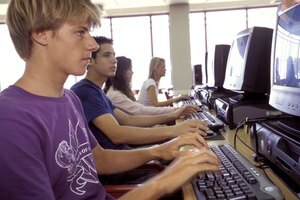 Other studies and teacher anecdotes indicate that computers sometimes serve to distract students from their assigned tasks because they are too tempted to access noneducational resources on the computer. 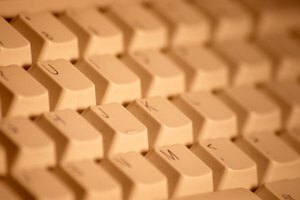 Despite these pitfalls, the use of computers in schools does seem to have more advantages than disadvantages. The Hechinger Report: U.S. Schools Have More Computers Than Ever. But What Are They Doing With All That (Expensive) Technology? Oxford Learning:Should Textbooks Be Replaced by Notebook Computers? Florida Virtual School: Welcome to Florida Virtual School — The Fully Accredited Online School Built for Your Personalized Learning. Barroso, Kristina. "Uses of Computers in Schools." 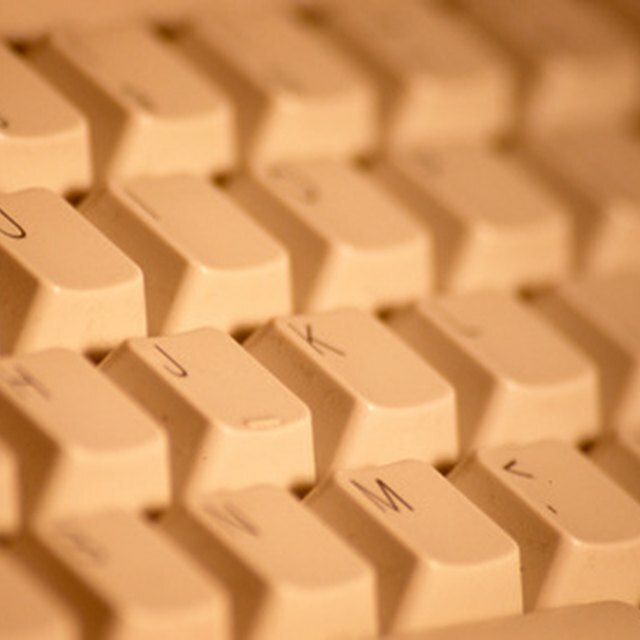 Synonym, https://classroom.synonym.com/uses-computers-schools-5022319.html. 25 June 2018.